The ICD-10-CM Expert for Physicians with our hallmark features and format makes facing the challenge of accurate diagnosis coding easier. 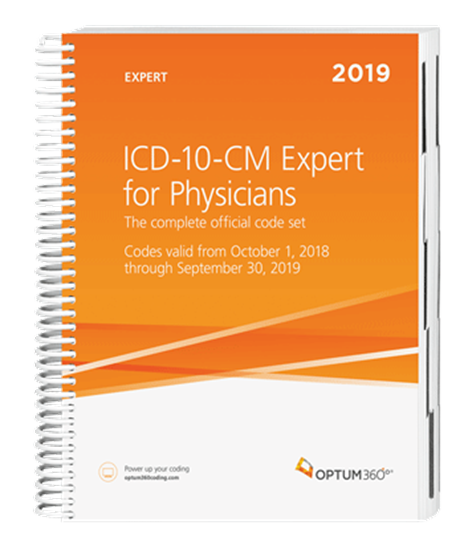 Developed specifically to meet the needs of physicians, the Optum360 codebook contains the complete ICD-10-CM code set which is the cornerstone for establishing medical necessity, determining coverage, and ensuring appropriate reimbursement. Now with a new symbol in the tabular for codes associated with CMS quality payment program (QPP) measures and a symbol to identify codes associated with CMS hierarchical condition categories (HCC) used in risk adjustment (RA) coding. Supplementary appendixes available only in the expert edition include: pharmacology listings, Z codes for long-term use of drugs and associated drug names; and Z codes used only as primary diagnosis. Delivery Option 1: Guaranteed delivery before October 1, 2018. A booklet containing the Official Coding and Reporting Guidelines for 2019 will be shipped separately if the guidelines are not available at the time this edition goes to press. New — Optum360 Edge — Introducing a new symbol in the tabular to identify diagnosis codes associated with QPP measures. New — Optum360 Edge — Coding Tips. Specific coding tips for physician and outpatient settings. New — Optum360 Edge — More Definitions. More diagnostic terms are defined. New — Optum360 Edge —Complete list of code changes. All 2019 new, revised, and deleted codes listed in the front of the book. Optum360 Edge — Two delivery options. Delivery option 1 – guaranteed delivery before October 1, 2018. Updated 2019 guidelines will be provided in a guideline booklet that will be shipped separately. Delivery option 2 – guidelines bound in the book. 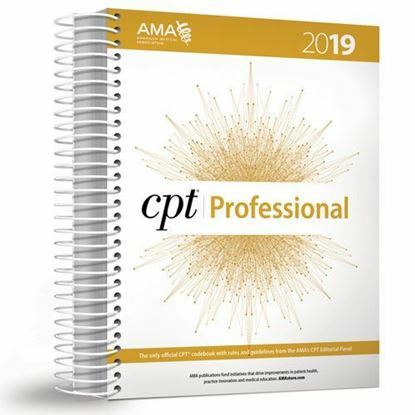 Books may arrive after October 1, but are guaranteed to contain the complete updated 2019 code set along with updated 2019 guidelines. Optum360 Edge —Intuitive features and format. With all of our visual alerts, including color-coding and symbols that identify coding notes and instructions, additional character requirements, placeholder X, Medicare Code Edits (MCE), manifestation codes, HCCs, and unspecified codes.